It’s been a long time since I made a post (I’m trying to do better with my ACTUAL BLOG I promise) but I have a really special post today. 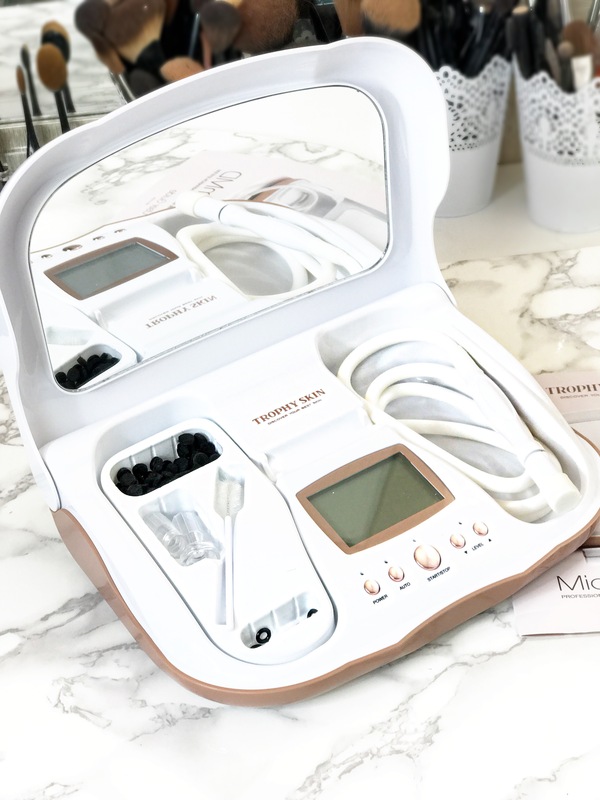 I recently had the opportunity to test out a microdermabrasion machine by Trophy Skin. I was so excited about it because I have been struggling with my skin for a long time so this was amazing. At first I am always skeptical about skincare products because let’s face it, they don’t all work. I have wasted probably hundreds upon hundreds of dollars on skincare gadgets and products. Sometimes a high price tag doesn’t guarantee results. 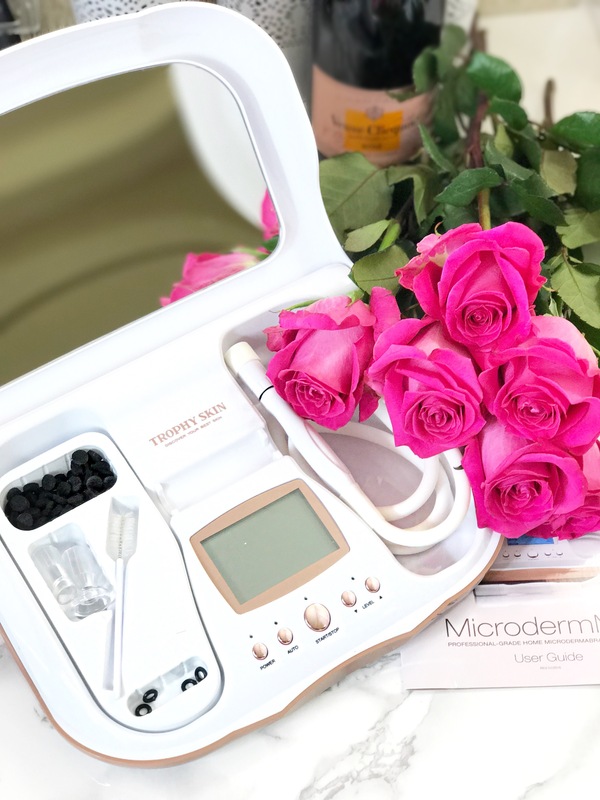 When the machine came I was SO excited but before I tell you about it I want to show you and tell you a little bit about the journey I have had with my skin. If anything, if you have skin problems know that you are not alone. Skin problems cause REAL PAIN on the inside and out. It affects your whole life. I suffer from PCOS (Polycystic Ovarian Syndrome) and I have a VERY serious case of it. Strangely enough while I do have cysts, that’s the least of my concerns and they don’t really affect me. It’s something that people don’t know a ton about but I have been to several specialists for it and it’s a work in progress. This condition has affected my weight, my skin, my emotions, my relationship, my cycle, my hearing, my hair you name it. But I will post about my full journey about this at a later date when I am ready. Now I had some acne as a teenager, no big deal, I would get more large pimples rather than a ton of them. I just figured it was growing pains. 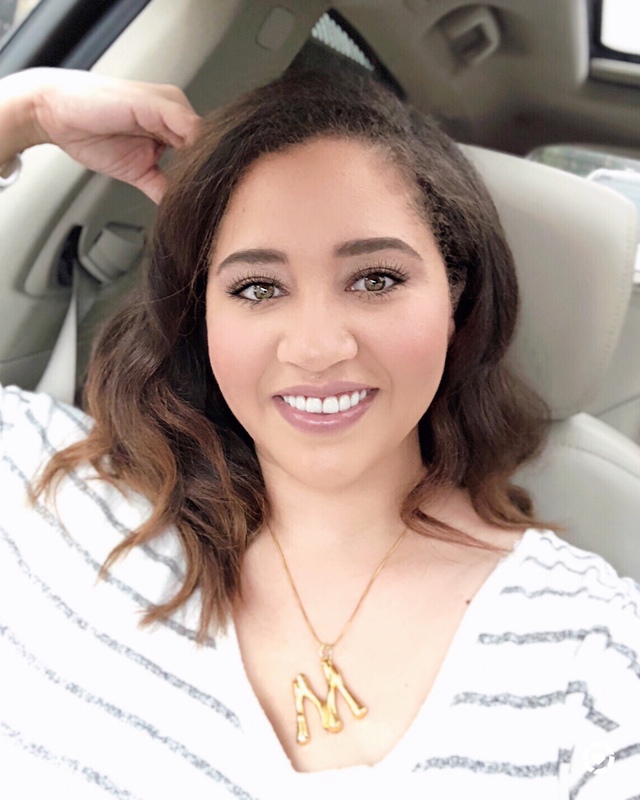 Being on birth control since a teenager, really controlled my skin basically until a few years ago when I went off of it, however because of the pcos and a medication I tried I never really had any skin issues because my hormones were under control. Well last year I stopped that medication and had to stop the BC as well for a period while we tried to find something else and all hell broke loose on my face. 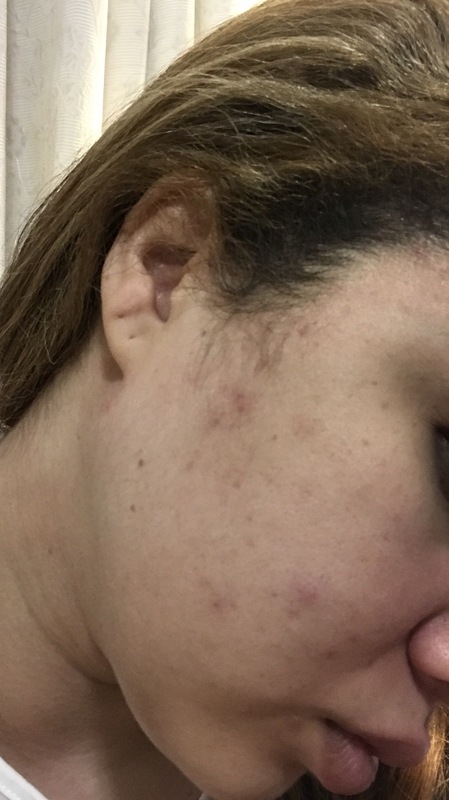 Now the images you are about to see may look severe to you or if your acne is worse than mine was look not as bad so I understand and want to be sensitive to that. This photo is one of the nicer ones. It was way worse than this but I was too upset to photgraph it. They go so bad I had to get medicated injections into them to make them go down and boy was that painful. But this is just my personal experience. So when my hormones got out of control THIS is what happened to my face and it came on suddenly and was traumatizing for me. 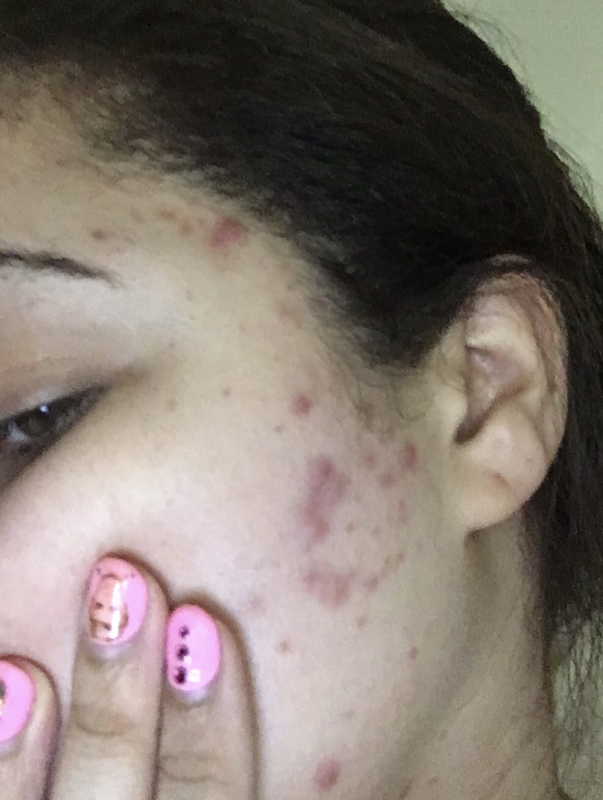 In the end after a few months and going back on BC my face straightened out but it left me with a forever reminder of the horror with some beautiful scars and red marks. So great, now I have just shown the internet what I never thought anyone but my fiance would ever see, so I feel nice and vulnerable now. 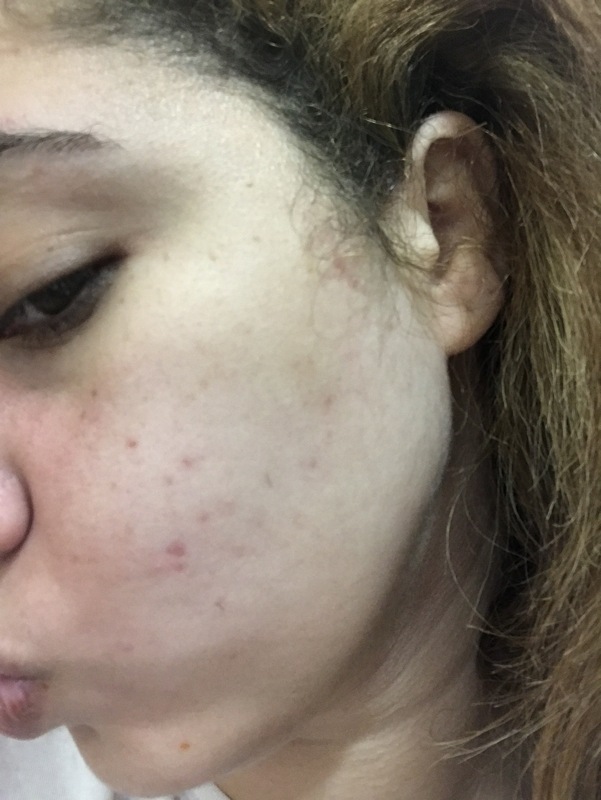 Dealing with these red spots has been a pain and I have tried ALL THE CREAMS people. ALL. THE. CREAMS. Nothing works. I even tried one of those spin brushes which actually just agitated my skin even worse. Still I get some random breakouts but it will just be one but it will be big, so I try to just spot treat it. I also have super dry skin which can leave me feeling flaky, and it’s also though to find a gentle exfoliant, that REALLY exfoliates hard LOL. SO I am left with flakes no matter how much I scrub and wash I can never seem to get it all off which can leave my foundation and powder a bit caky. OK. So let’s talk about the machine. So When I opened up the machine I felt like I had a control panel for my skin, this thing looked LEGIT. I’ll start off by saying it’s pretty and it is big but it’s really portable and easy to store and it has compartments to keep everything organized. They also have a travel size which I totally want for when I am on the go because now I feel like I can’t live with out it. But yeah check this baby out. I feel you! I’ve struggled with acne since elementary school! I love microdermabrasion, it’s so great for your skin! I am also struggling with PCOS!!! 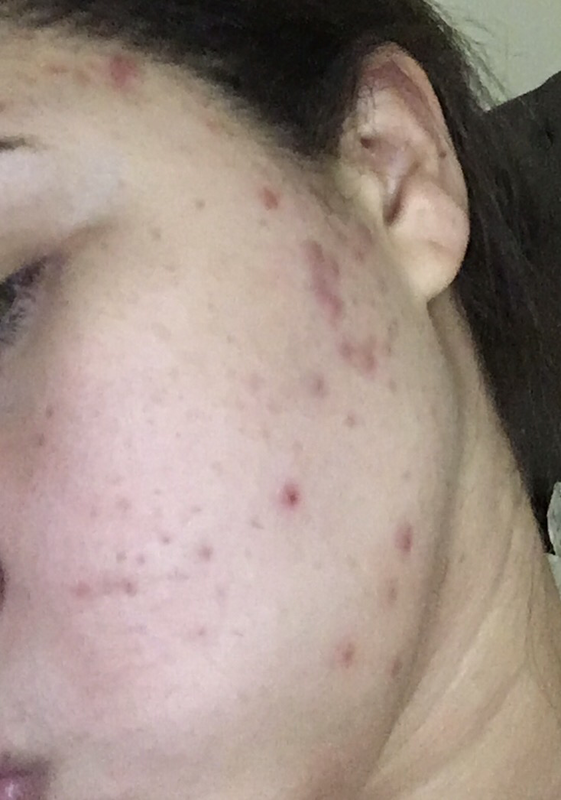 Since November, my face looked angry, I don’t know what to do!!! I hated taking selfies because it constantly reminds me the cysts are at every angle! You are so brave for sharing this. I also get cysts at the same spots!!! Hi Lynne, I know how that feels! It’s nice to know there are others out there going through something similar. I was very lucky that my skin resolved itself for the most part, but It does take time. MY goal this year is to be brave and live my story and not hide it. I appreciate your words. Let me know if you have found anything that works for you too! Your Daily Dose of Sweetpea! Enter Your E-Mail to subscribe to my blog and never miss a post! © Copyright Sweet New York 2019. Theme by Bluchic.